One Mom's Moxie: Bejeweled Bubbles Bar Giveaway! 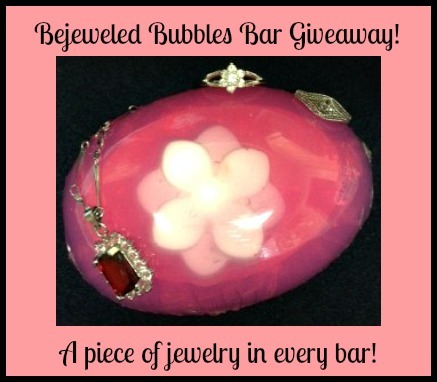 Enter to win your own Bejeweled Bubbles Bar! Check out the full review on the Bejeweled Bubbles Bar at Tiffany's Reviews! 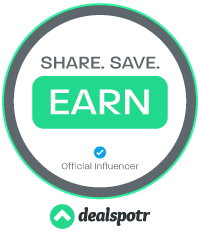 Don't miss the chance to win a bar of your own, enter in the Rafflecopter below. I like vanilla or rose scented soaps. I would like a bracelet. I like vanilla, lavender or fruit smells. I LIKE LAVENDER AND I WOULD LIKE TO WIN A RING!! I like almond scented soap but the aloe and green tea soap sounds awesome. I would like to win a ring. I like the smell of flowery things...no particular flower although rose is always good. I would like a necklace! I like lavender at night and some kind of fruit during the day, I would like a necklace or bracelet, thank you! !